Can Lentils Be Grown in Michigan? Lentils (Lens culinaris Medik.) are considered a grain legume, and as such follow the planting schedules of many other grains commonly grown in the United States. They will grow almost anywhere that has a long enough growing season, so long as there is a cool period at the beginning in which they can germinate. Lentils are one of humankind’s oldest cultivated food sources, first grown over 8,500 years ago in the Middle East and Asia. Large, pea-like legumes -- technically seeds -- form atop 12- to 20-inch-tall waving stems, containing a protein content between 20 and 35 percent. Compound leaflets contain four to seven leaves with tendrils at tips, and flowers slowly turn into pods containing one to two lentils each. Self-pollinating flowers are white, lilac or pale blue, while seeds are tan, brown, greenish, black, purple or mottled. Because lentils are a cool-season annual, they can be grown anywhere with a sufficiently long growing season. Michigan certainly qualifies, as once its sometimes severe winters are over, it has long springs and summers during which many crops are grown. 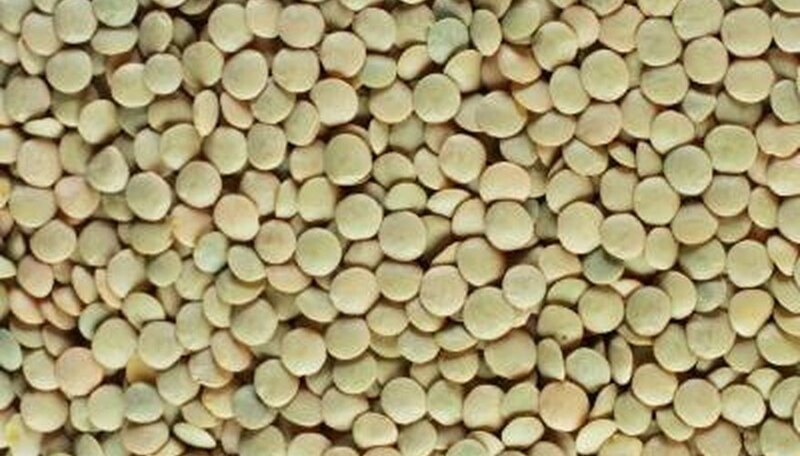 Since they are quite frost-tolerant, lentils can be planted in spring when the worst of the winter weather is over but without worrying too much about frosts or cold snaps. Lentils germinate at or around 41 degrees Fahrenheit. Usually lentils are best planted in April or May, when most frosts have passed. When trying to decide when to plant lentils in Michigan, follow the small-grain schedule. In Michigan, small grains are usually planted in late April to early May, more specifically between April 25 and May 8. Although it isn’t too important to stick to this schedule by the day, if you plant lentils this time of year they should germinate effectively and grow tall enough to withstand the hot weather by the time it hits. Lentils are usually mature and ready for harvest between 110 and 119 days. As their seedlings are not competitive, you must provide good weed control when they are young. Keep soil evenly moist but not wet during the growing season. Pods require drying before the seeds can be harvested and cooked. After harvesting lentil pods, lay them in the sun until moisture completely evaporates. At that point you may shell them and store the small seeds somewhere cool and dry.